How a Paul C-discovered sample was taken directly from cassette tape and transformed into a seminal record for one of rap’s all-time great duos, plus a 40-track Large Professor playlist. A YouTube upload of Main Source’s “Think”, off the Paul C-engineered “Think”/”Atom” 12-inch. These tape compositions may sound compelling, but the limitations of the SK-1 and a cassette deck made Large Pro yearn for something more advanced to create with. Extra P found his opportunity when his new group Main Source went to work on their demo tape in 1989. As they tried to make a record that would get them signed, they sought the services of the late Paul C — an engineer and producer whose name was generating significant buzz at 1212 Studio in Jamaica, Queens. 2017 Large Professor interview with 247HH discussing his work with Paul C and Eric B. & Rakim. Large Pro’s desire to make beats with extreme intensity hit another level when Paul agreed to lend him the sampler for two weeks so he could further hone his craft. “I’m an extremist, so I’m going in,” he told Microphone Check. “I swear I maybe made 30 or 40 beats like in that little two week period. So I was just in on it.” He sold the first beat of his career to Intelligent Hoodlum a short time after his manic half-month creative spell was broken. The Spotify version of ‘Let The Rhythm Hit ‘Em’. As Large Pro and his mentor continued to spend countless hours together in the studio, Paul C was slated for some heavy involvement with Eric B. 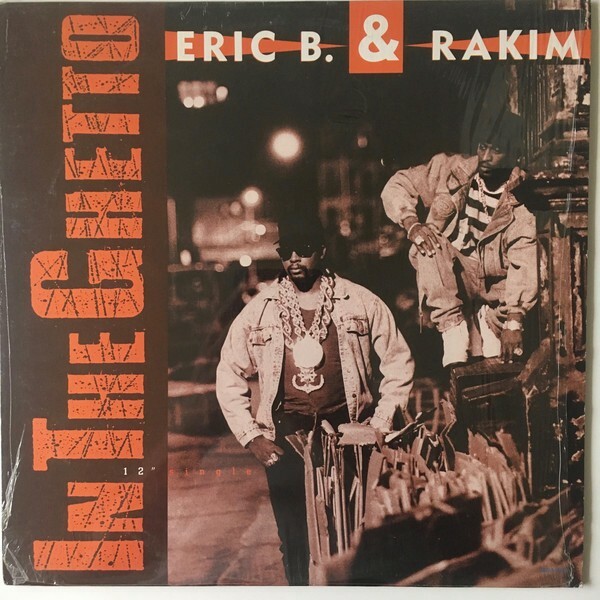 & Rakim’s third effort Let The Rhythm Hit ’Em. After teaching Rakim how to use the SP-1200, he’d established a strong bond with the revered MC. Micro-Chopping Large Professor — an exclusive 40-track playlist of Large Pro beats and rhymes. In the wake of his death, the large cohort of artists Paul C worked with did their best to soldier on. Large Pro stepped in to help with production on Let The Rhythm Hit ’Em despite being a mere senior in high school at the time. Meanwhile, Paul continued to influence the Large Professor and Rakim’s creative process — even though he was no longer around to help with the album’s creation. recloose’s photo of Large Professor with Paul C’s SP-1200 circa 2015. The year 2015 would see Large Pro and his mentor’s connection come full circle when he was reunited with Paul’s 1200 after it came into the possession of engineer and producer Nick Hook. Mutual acquaintance recloose helped bring Large Pro and the machine back together while capturing the moment with an incredible picture. His face says it all. Connect with Large Professor on Facebook, Instagram, and on Twitter @plargepro.